Breaking its own record every time has become second nature of Halmari Tea! You know why? Because this year at the Guwahati Tea Auction Centre, Halmari did something unbelievable! Their first flush CTC tea (crush, tear and curl) of broken orange pekoe grade coming straight from the Halmari Garden located in Dibrugarh took over its own record from last year. It incurred a whopping Rs.422 at sale number 42 from the auction center. The largest tea auctioneers in the world, J.Thomas & Co Private Ltd auctioned a total of 130.4 kg of tea offered by Halmari. And from the auction, came a humongous profit margin surpassing last year’s Rs. 401 mark. Before going forward with this exciting news, a heads up on first flush tea! What is a First Flush? First flush basically connotes leaf buds from the 1st round of harvest in a year. Considered as a premium harvest since the tea plants store an entire winter’s nutrient content within them, we get the first flush in Spring. Especially in the production of green teas, white teas and oolong teas – first flush is considered to be of crucial importance. Now that you have got an idea of why exactly the first flush tea auctioning became a great deal for Halmari, we can proceed with rest of the story. Coming back to where we left off, Halmari gained Rs. 422 for its first flush this year. Shree Krishna Tea Company based in Guwahati purchased this tea Planter’s Choice. The client has a retail counter in Jorhat. 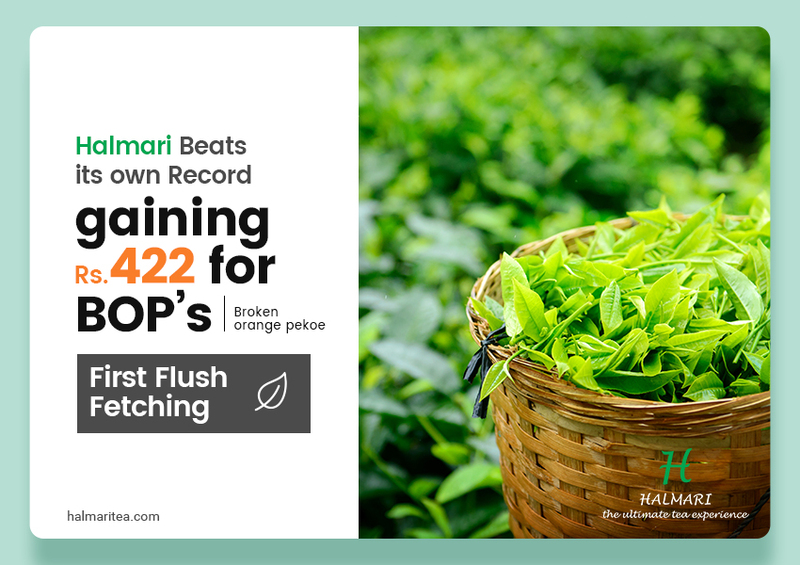 Last year on April 26, Halmari gained Rs.401 for its first flush at sale number 17 at the Calcutta tea auction. And this year you know the number right? So, what’s with BOP (Broken Orange Pekoe)? 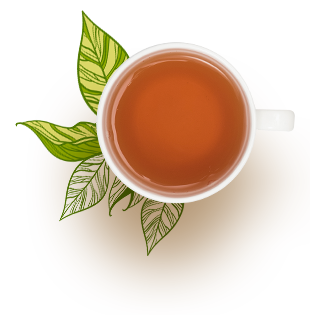 Well, Broken Orange Pekoe will provide you with a rich sensation of exotic and aromatic flavor. Owing to its bolder grade and first slush, BOP adorns its morning sip with a precise blend of flavor and strength. Bettering every time has become a winning challenge for us! We the family of Halmari has chosen to beat each year’s record by producing some of the best CTC Tea and Orthodox Teas ever seen in any year. Moreover, we aim to break this current record too next year as we do believe in catering widely all over the world our exotic flavor of first flush tea.